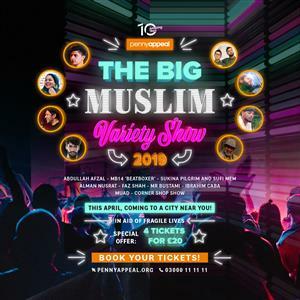 Penny Appeal would like to invite you to the exclusive Big Muslim Variety Show! With a whole host of #MuslimTalent from across the world, it’s an event not to be missed. Get your 4 for £20 tickets today!